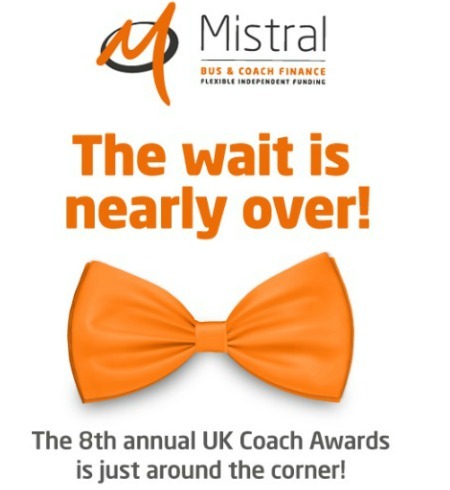 There will be a strong show of support from the Mistral Group teams at Thursday night’s UK Coach Awards. Representatives from both Mistral Asset Finance and Mistral Bus & Coach will be attending the awards night, to be held at the Piccadilly Hotel in Manchester. Mistral Asset Finance is proud to sponsor the Best Customer Service Award. The winner of this award will be chosen from the winners of the Top Small, Top Medium and Top Large Operator Awards. Guy Wadsworth, Chief Operating Officer, Mistral Asset Finance said: “We saw the value in sponsoring the Best Customer Service Award because Mistral prides itself on providing outstanding customer service. “It was a way to show our support for the integrity of this long-standing and respected award ceremony whilst highlighting a core value of our own business. The UK Coach Awards is unique in that it is the only scheme specifically dedicated to coach operators and their staff. This includes all aspects of coach operation including charter, contract, coach touring and scheduled express operation. View all the 2016 finalists here.